Over 5,000 climbers have successfully reached Mount Everest's peak, including a 13-year-old, a blind person, and a 73-year-old woman. 200 dead bodies on it, which are now landmarks on the way to the top. 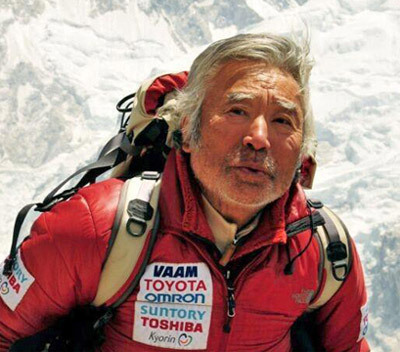 In 2013, Yuichiro Miura, an 80-year-old Japanese, became the oldest person to make it to the top of Mount Everest and down. Mount Everest is littered with not just the corpses of climbers but an estimated 50 tons of waste, making it world's dirtiest mountain. Historically, for every 100 climbers who have made it to the summit of Mount Everest, 4 have died. Climbing the Mount Everest cost around US$65,000. at the top of Mt. Everest is 71 °C (160 °F). In 2011, two men paraglided from the summit of Mount Everest, arriving at a village in 42 minutes and avoiding the dangerous conventional 3-day descent. Mount Everest shrank one inch (2.5 cm) due to the 2015 earthquake in Nepal. 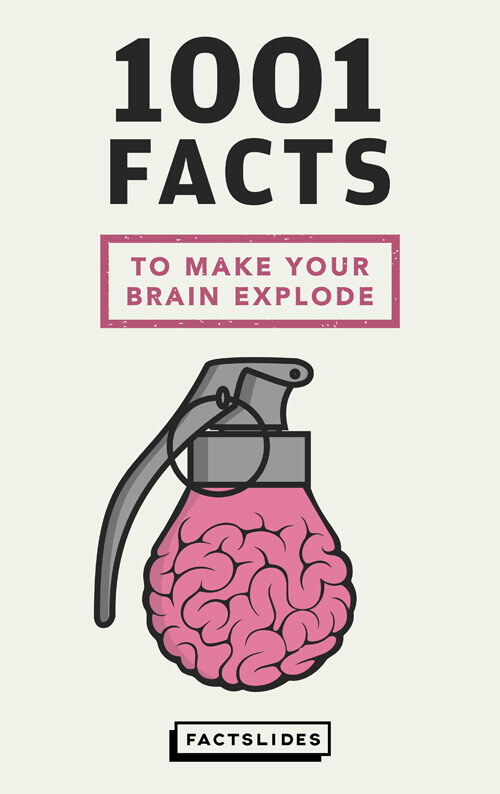 Mount Everest is pronounced "Eve-rest", not "Ever-est", as it is named after George Everest. 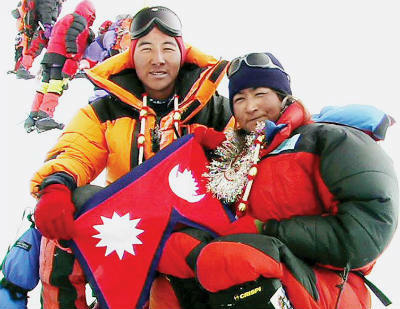 In 2005, a Nepalese couple became the first to marry on top of Mount Everest. 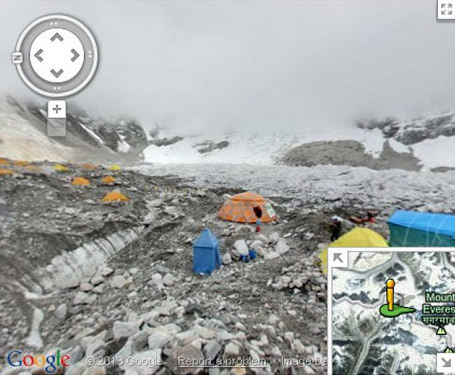 Google Maps' Streetview includes 360-degree views of the Mount Everest base camp. father and son to do so. The fastest ascent from base camp to the summit of Mount Everest took just 8 hours and 10 minutes. The rock at the summit of Mount Everest is marine limestone and would have been deposited on the seafloor around 450 million years ago. For the first time since 1974, nobody climbed to the top of Mount Everest in 2015. The four highest mountains on Earth, Everest, K2, Kanchenjunga and Lhotse, were first scaled in 1953, 54, 55, and 56. From bottom to top, Mount Everest is not the world's tallest mountain. Mauna Kea in Hawaii is about 1 km (3280 feet) taller. In Nepal, Mount Everest is known as Chomolungma, meaning "Goddess Mother of Mountains."